Quote of the day: “Everything I need to know about Donald Trump, I learned from Rodney Glassman.” - Blake Morlock. Of all the people running for public office in 2018, the one you definitely do not want is this guy, Rodney Glassman. Glassman, you see, has switched parties from Democrat to Republican and is now running for the Arizona Corporation Commission. As if the scandal-plagued ACC does not have enough problems. 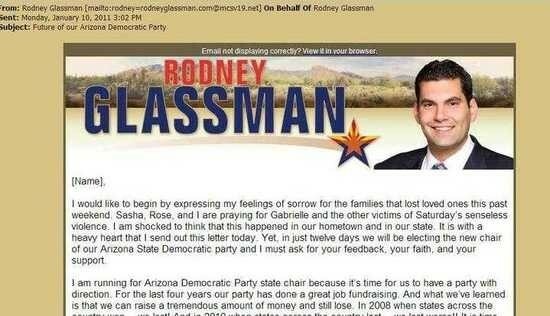 You might remember Glassman from his failed 2010 run for U. S. Senate challenging John McCain. I do. He struck me as 100% genuine. Genuine snake oil, that is. But don’t take just my word for it. This morning I call your attention to two must-reads dissecting Glassman’s history. The first is from Joel Feinman (cross-posted by Bob Lord at Blog for Arizona). Note to BfAZ readers: In the annals of political takedown pieces in Arizona, this piece should have a secure place. Upon reading it, I emailed the author, Joel Feinman, and asked if I could share. And the target, Rodney Glassman, is so deserving. Those of you with sizable social media followings, please share. American politics has vomited up some truly repellent characters as of late, but few are as soulless as Arizona Corporation Commission candidate Rodney Glassman. Trying to explain who and what Rodney is to people who have never heard of him can be challenging. A polite commentator might describe Rodney as a lawyer with a colorful past, who has been active in Arizona politics for many years as a Democrat and now as Republican. Others who are less polite and more judgmental could describe him as a supremely egotistical and morally corrupt individual, who would join any party and advocate for any cause, as long as doing so would advance his political career by the radius of a single electron. Feinman’s answers to Glassman’s three claims are just as blunt. “Qualified” is incompetent. ”Principled” is corrupt. "Conservative” is opportunistic. With respect to the latter claim, consider this. 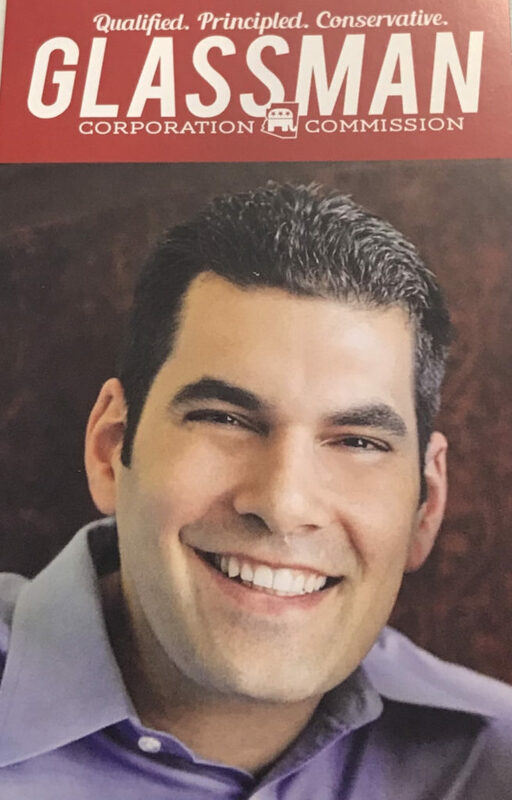 Rodney began life as a Republican when he first moved to Tucson from California in 1997. He transitioned to Independent in 1999, then Democrat in 2000, and has recently switched back to the Republican party as a candidate for the Arizona Corporation Commission. Throughout his career, opportunism has been the name of Rodney’s game. When Rodney worked for Rep. Grijalva, sat on the Tucson City Council, and ran for U.S. Senate he was an environment-protecting, Planned Parenthood-loving, pro-labor progressive Democrat. After his unsuccessful U.S. Senate race, Rodney launched a failed bid for Arizona Democratic Party Chair in 2011. Ever the class act, two days after Congresswoman Giffords was shot on January 8, Rodney sent out an email exploiting the tragedy. I’ll put it this way: Everything I need to know about Donald Trump, I learned from Rodney Glassman. The rich kid who needs the affirmation. The egotist with a short attention span who thinks everything is about him and blames his staff and others for his own shortcomings. The absolute lack of policy chops. You gotta read Morlock’s column to get an understanding of why we really, really want to stop Glassman’s political career right here, right now.